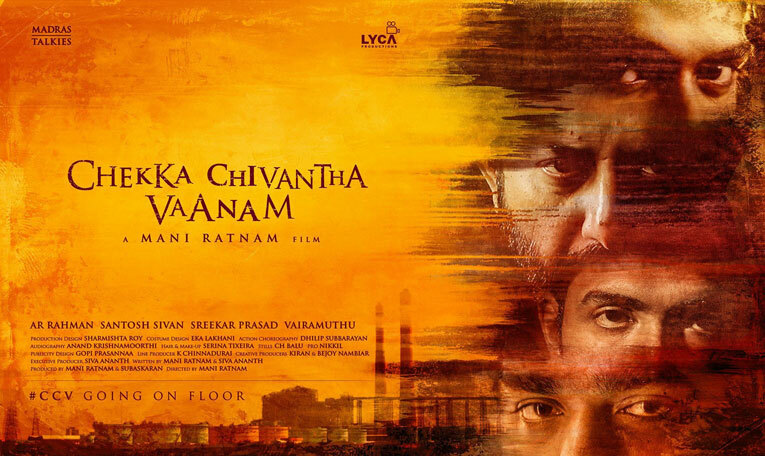 Veteran filmmaker Mani Ratnam is gearing up for the release of the multi-starrer venture ‘Chekka Chivantha Vaanam’. The movie was initially scheduled for a release on September 28, but now the makers have decided to screen the film a day ahead of its initial release date. The new release date of the film to hit the screens is September 27. Now that the film is releasing on Thursday, it has an extra advantage of getting a big opening at the box office. In fact, ‘Chekka Chivantha Vaanam’ is one of the eagerly awaited flicks this month. Coming to you 1⃣ day earlier September 2⃣7⃣ worldwide !!! Produced by Madras Talkies and Lyca Productions, ‘Chekka Chivantha Vaanam’ has music by AR Rahman. The makers recently unveiled two songs ‘Mazhai Kuruvi’ and ‘Bhoomi Bhoomi’ from the film. The movie is going to release in Telugu also under the title 'Nawab'.